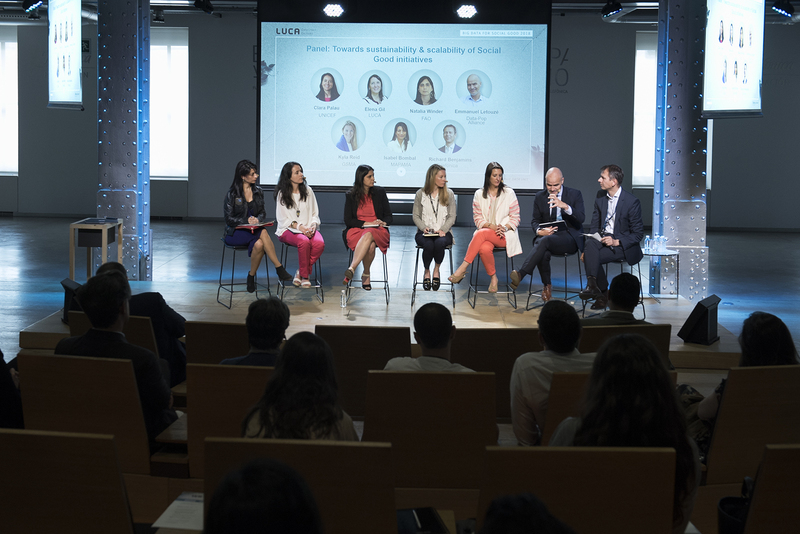 The Big Data for Social Good event organized by LUCA, "Ready for a Wild World", took place on May 24th and brought together experts from relevant global organizations and companies in Madrid. Among those organizations were FAO, UNICEF, The Ministry of Agriculture and Fisheries, Food and Environment (MAPAMA), the GSMA and companies like Data-Pop Alliance and Digital Globe. With each of their presentations, they were able to show the importance of data when it comes to developing efficient prevention plans to prepare for natural disasters and climate change. Figure 1: The closing panel of experts. Along these same lines, the Big Data for Social Good department at LUCA is already working on projects with organizations like UNICEF and FAO. In fact an agreement has recently been signed with the latter. Natalia Winder Rossi, Head of Social Protection at FAO mentioned: "FAO and Telefónica are working together to take advantage of the use of state-of-the-art digital technologies for agricultural development, food security and nutrition, and specifically, to prepare and strengthen farmers in the face of extreme weather events related to climate change." Besides presenting real tools and projects live, like OPAL, a platform that seeks to unleash the potential of private data for social good, the application of geospacial data like those offered by DigitalGlobe to predict all types of events, including environmental ones, or SafePost, a tool that is able to send messages in emergency situations without the need for internet connection; the need for these initiatives to be sustainable on a medium to long term scale as also highly discussed. It is important that these initiatives are sustainable for the main users of these tools, meaning, humanitarian organizations and public administrations. If want more detail on the event, you can watch all the coverage, including videos on our website.